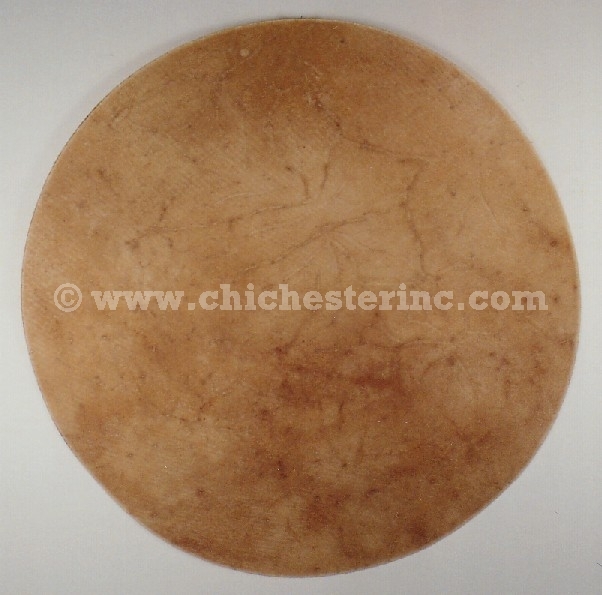 These pre-cut discs made of cow rawhide are ideal for making Native American drums, Shaman drums, traditional Japanese drums, and drums in general. The thickness used produces the best sound for the size: discs 26" and below are just under 1/8" thick, while the larger discs are at or just over 1/8" thick. Rawhide is also referred to as parchment or vellum. The translucent cow rawhide discs are relatively the same thickness as the other cow rawhide discs we carry, but with a more translucent look. Cow rawhide is thicker than goat rawhide and is more suitable for making drums that use drumsticks. Goat rawhide is really thin and is better suited for making hand drums. Note: When working with cow rawhide, soak the drum covers for between four and 12 hours depending upon the thickness and oiliness of the skins. The thicker and more oily the hide, the longer it should be soaked. Soaking the skins for longer than 12 hours can result in a degradation of the skins. Elk or deer rawhide can be soaked overnight. If you do this with cow rawhide, it will fall apart. The drum covers are NOT subject to USFWS export inspection and can be shipped overseas without any problems.